The 2017/18 season may not have ended in glory for Liverpool, but it was another season of progress under Jurgen Klopp, and one with some unforgettable memories for supporters. 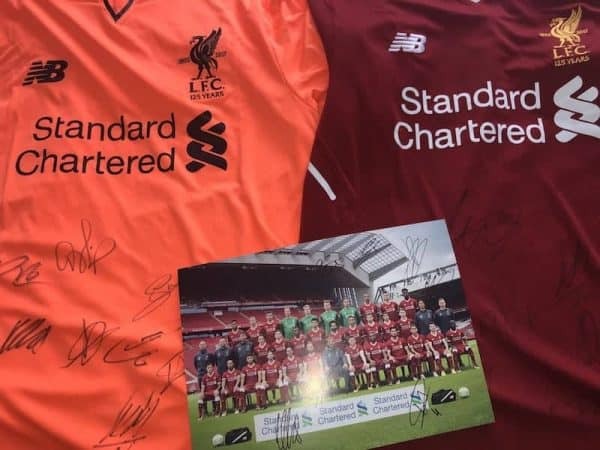 We’ve got the season’s home shirt (1st prize) and third shirt (2nd prize) signed by the squad, as well as a signed squad photo (3rd prize) to give away to three lucky winners. 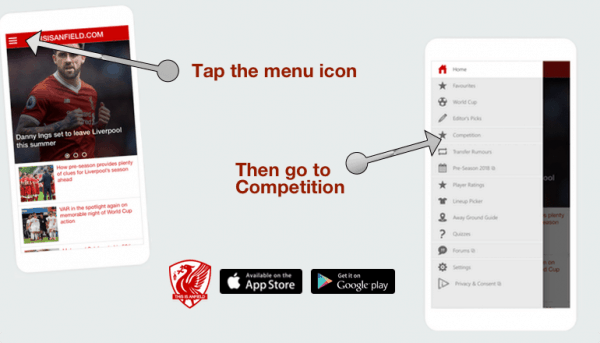 To enter, simply open or download the This Is Anfield app for iPhone or Android here (it’s free), tap the menu in the top-left hand corner and go to Competition. Then simply complete the form and answer the very simple question to enter.